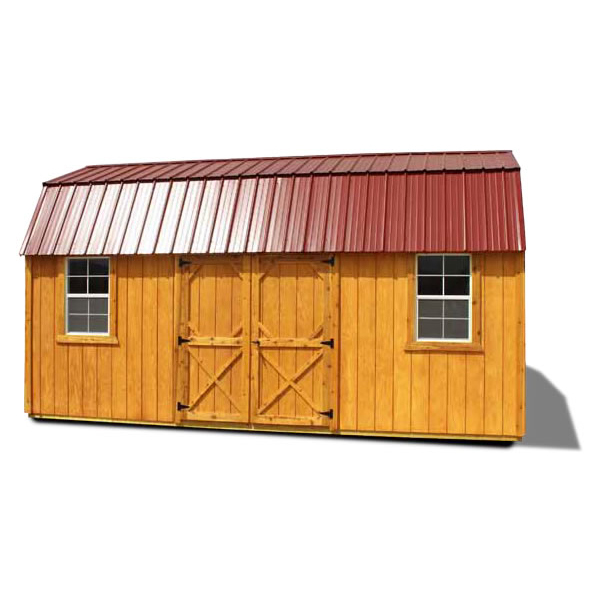 Want a wood barn with extra loft storage but have a limited depth site? The wood side lofted barn is the solution to your problem. You get the storage you need but enter along the length of the building. This version comes in 8, 10, 12 and 14 ft. widths. The 8 ft. wide version has a single wood door and no windows, but the larger ones have two 2x3 ft windows and a double wood door.